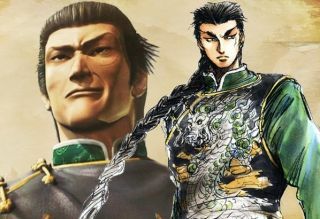 Shenmue 3 developer Ys Net ruffled some feathers recently when it decided not to extended backer rewards that had previously been offered as “Kickstarter exclusives” to PayPal supporters. It was a strange move on the face of it, because the studio claimed there was a “strong response” from people who wanted to maintain exclusivity, but the results of two polls it conducted in December indicated the opposite: There were more people who wanted to open up the rewards than there were who wanted to keep them exclusive. But the majority of respondents said they didn't care one way or the other, and that's where things got tricky. Ys Net's “foremost consideration” was upholding the promise it made during the original campaign, he said, and so it would only be willing to change that position if the majority of its backers supported doing so. That wasn't the case. Put that way, it's a reasonable position to take. Indifference isn't the same as support, and if the goal was to determine whether this was something people actively wanted, the poll results don't point in that direction. (Also bear in mind that less than a quarter of the eligible respondents actually bothered to cast a vote.) I don't necessarily think it's a good decision, but at least there's a rationale for it. As for the possibility of balancing the scales with PayPal-exclusive rewards, the rep said there are currently no plans to do so, but they're open to suggestions. Maybe it's time for another poll?